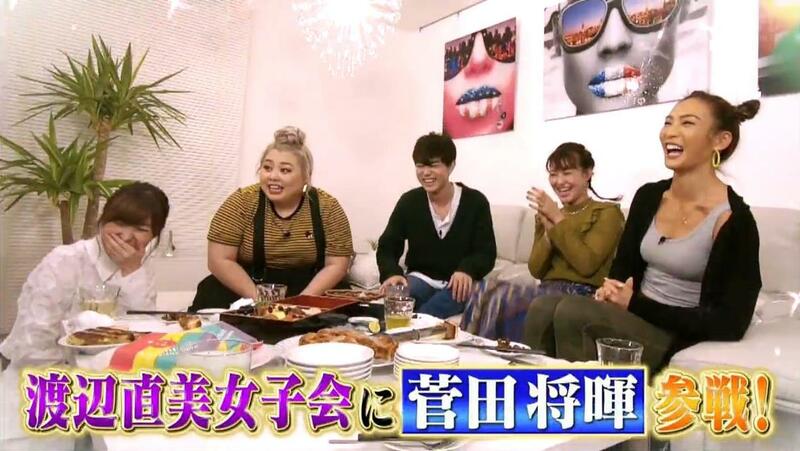 Suda Masaki only appeared in one of the segments on Konya Kurabete Mimashita to promote 『3 Nen A Gumi』, where he was the surprise guest to Watanabe Naomi’s women-only gathering with AYA, Murakami Kanako and Sashihara Rino. 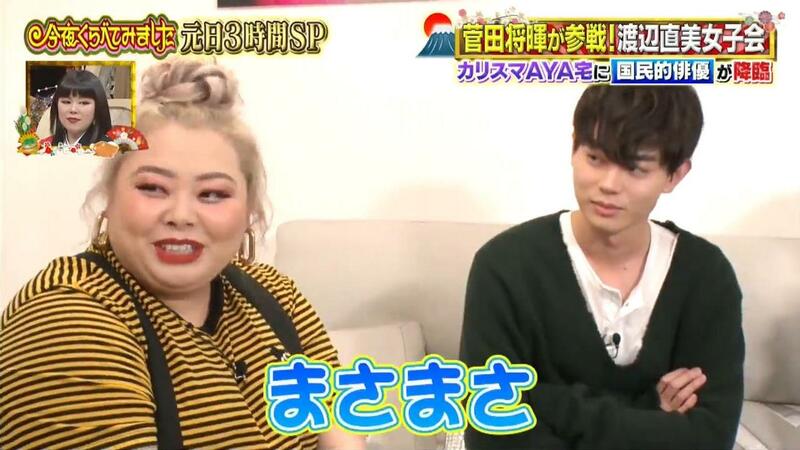 Murakami’s favourite artiste was Suda so she was appalled to see him. 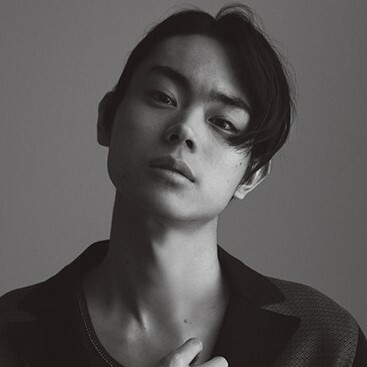 Watanabe gave him a nickname, Masamasa, for the purpose of this gathering. Suda brought longans from Hawaii (he mentioned that he recently visited Hawaii for the first time). They were delicious but Watanabe couldn’t stop laughing that they were placed in an old-school basket like an old man ♚ Enjoy! So funny…..I love how Murakami’s shocked face! I would do the same if I met him too! Thanks for sharing!